This year’s World Cup is slated to be the most social TV sports event ever, beating out typically social events like the Olympics and Super Bowl. The opening ceremony in Brazil isn’t until today, but Twitter indicated that there have already been more posts about the 2014 World Cup on Twitter than for the entire 2010 tournament. We took a look at athletes, sponsors, and social buzz over the last thirty days (May 11 – June 10) to paint the social landscape for the upcoming games. Social buzz about World Cup athletes has been happening for months, and the last thirty days are no exception. We see the largest increase in athlete social mentions on May 17th. This is when Germany’s Philipp Lahm’s injury threatened to prevent peak World Cup performance. Athletes won’t be the only ones competing. Corporate brand sponsors will also be trying to win over the attention of spectators. 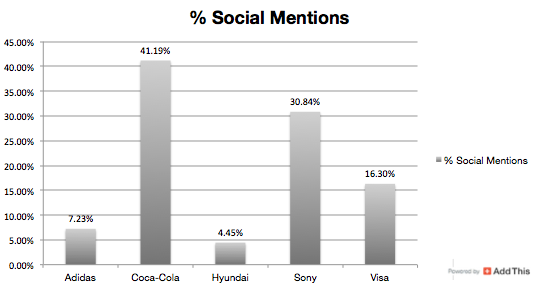 We looked at social mentions for top brand sponsors over the last thirty days to see which brand had the largest percentage of social buzz. For now, Coke is in the lead for social engagement, but it will be interesting to see if they hold the lead throughout the World Cup. Brands whose competitors are sponsoring the event have stepped up their game as well. For example, Nike is making sure their brand doesn’t go unnoticed in the upcoming games. 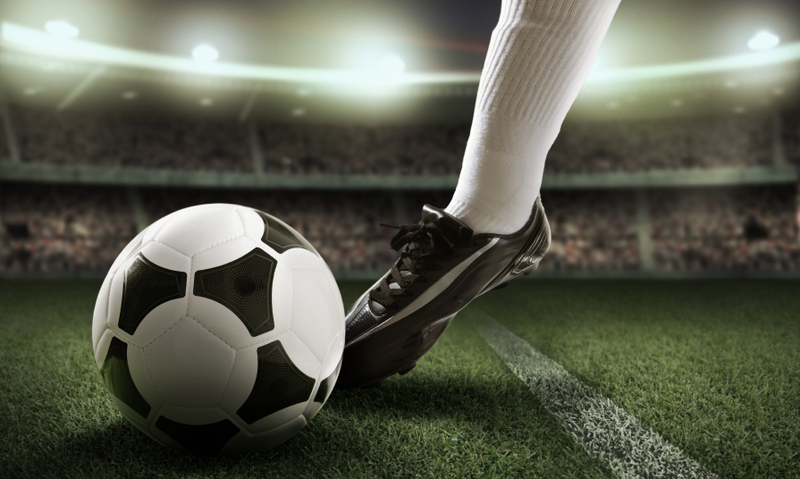 We’ll be interested to see how this match progresses throughout the World Cup, with digital, social, and television advertising outlets being fair game. FIFA is the official sponsor of the World Cup, so it’s no surprise fans are following the latest news from them on social media. The official FIFA World Cup Twitter page has seen a 16% increase in followers during the past week, which is a huge jump from the 6% increase in followers during the previous week. The Facebook page has seen an 7% increase in likes during the past week. If you plan on following along during the World Cup, check out FIFA’s site for insider information on the best way to follow your teams and players. And, if you plan on tweeting the events, Twitter has you covered with World Cup hashtags that make your country pride visible! With AddThis reaching over 98% of the internet, we’re excited to track insights for the most social sporting event!